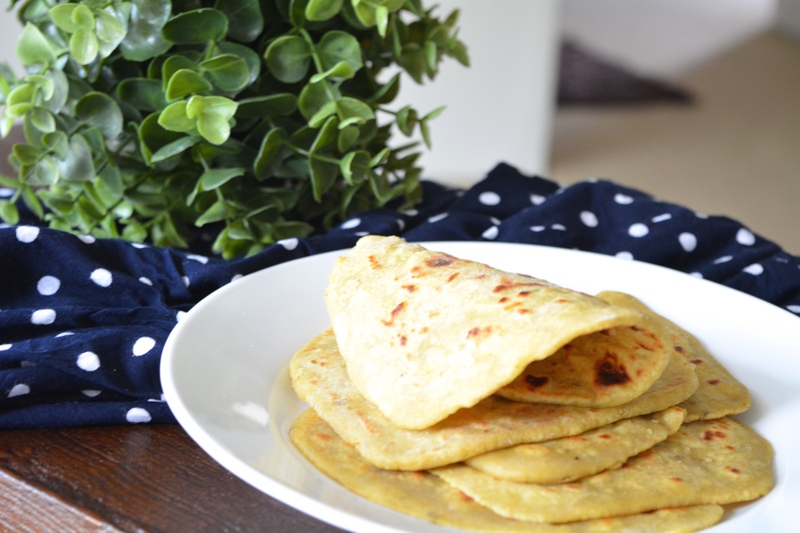 I was diagnosed with Gluten-Intolerance last year which meant no more rotis/naan breads. I was devastated but it has turned out for the best. Am feeling much more energetic without gluten. 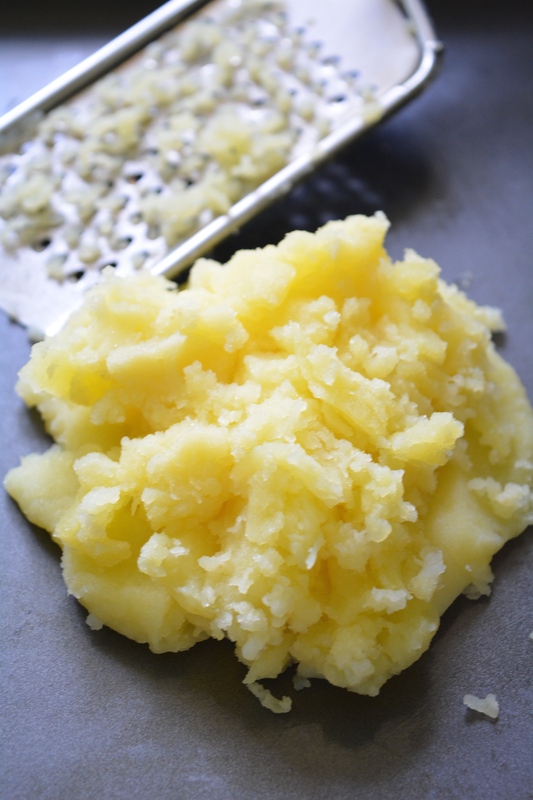 Grate potatoes and add them to a bowl. 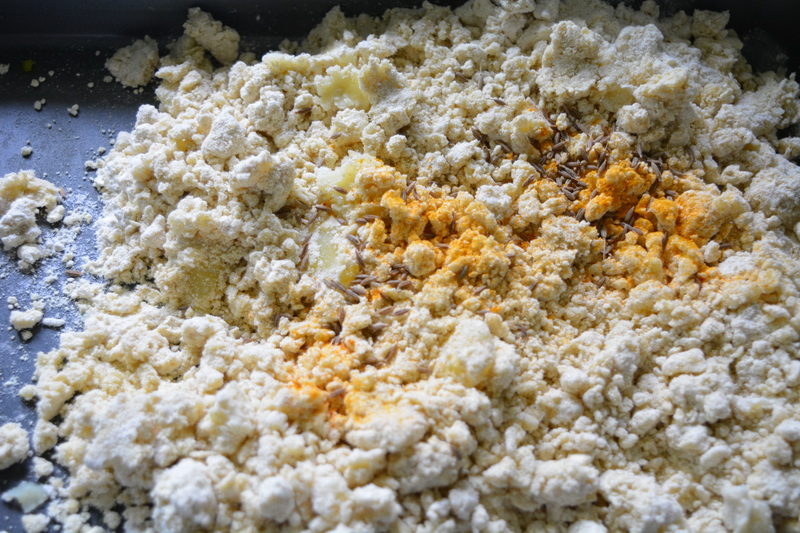 Add buckwheat flour, chickpea flour, turmeric, cumin seeds and salt to the potatoes & mix them all very well. 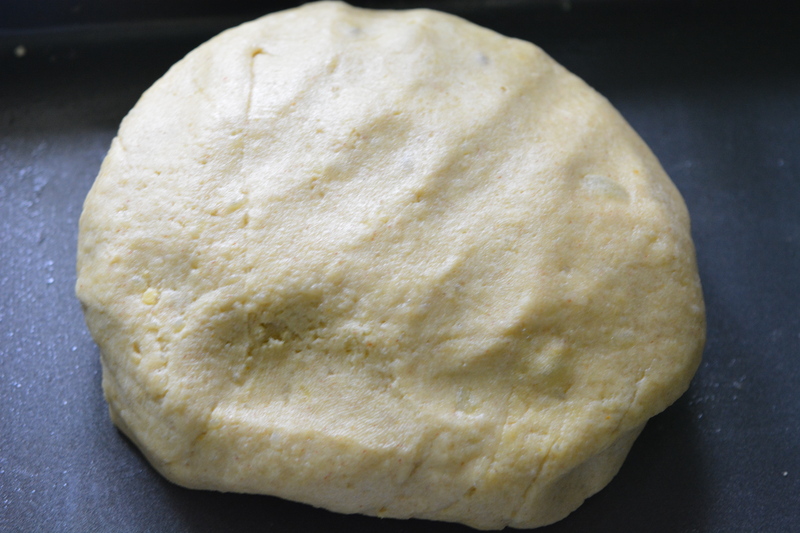 Now add warm water (1 Tbsp at a time) and mix until it reaches roti dough consistency. Add oil at the end and this should make the dough less sticky. 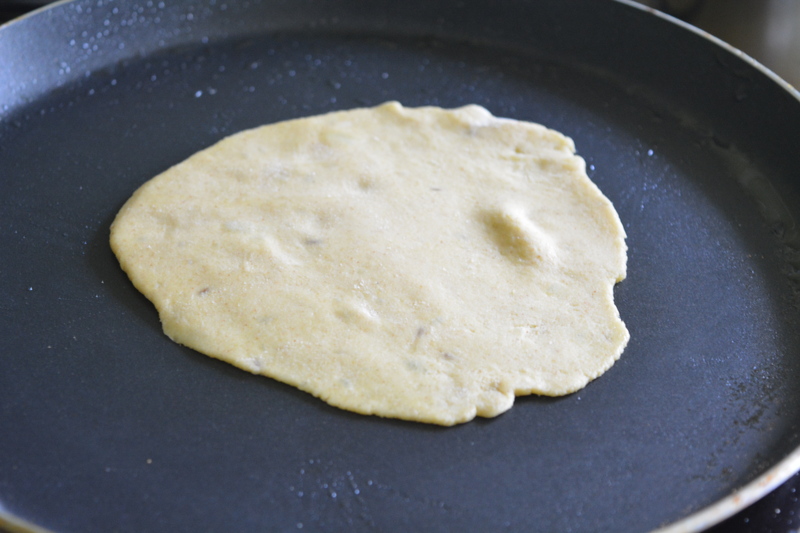 Using rolling pin and a board, make rotis and throw them on a griddle, one at a time. 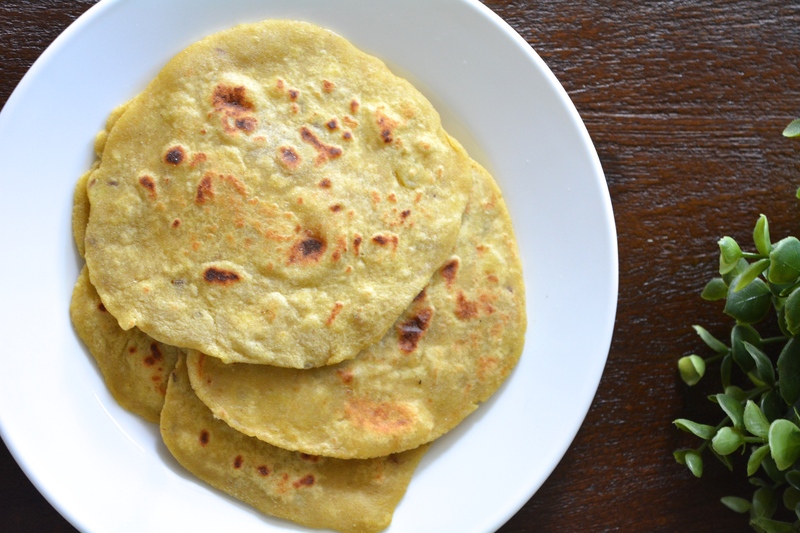 Make rotis. They are super-soft. 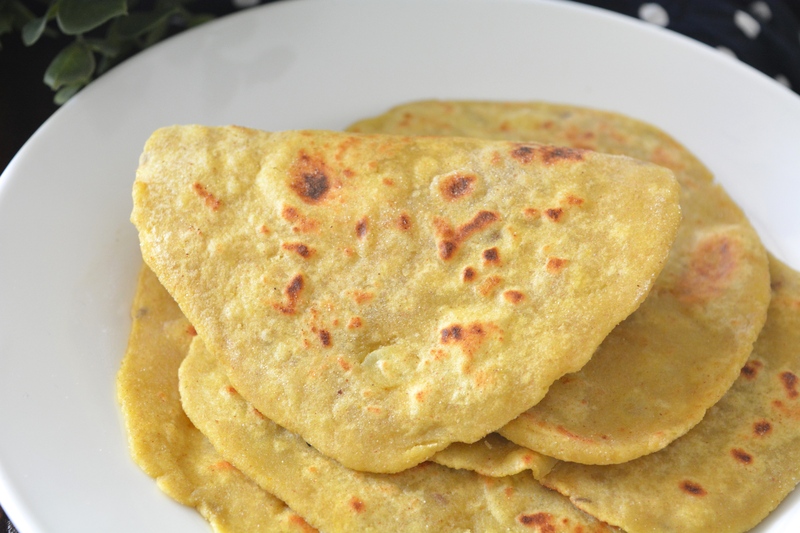 Just watch out when you roll them as flatbreads. Beautiful Charanya. What is that green color coming from? This seems so good. Thanks. I have to try it soon. I must try this. I have buckwheat and chickpea flour looking to play a major role in a bread recipe. 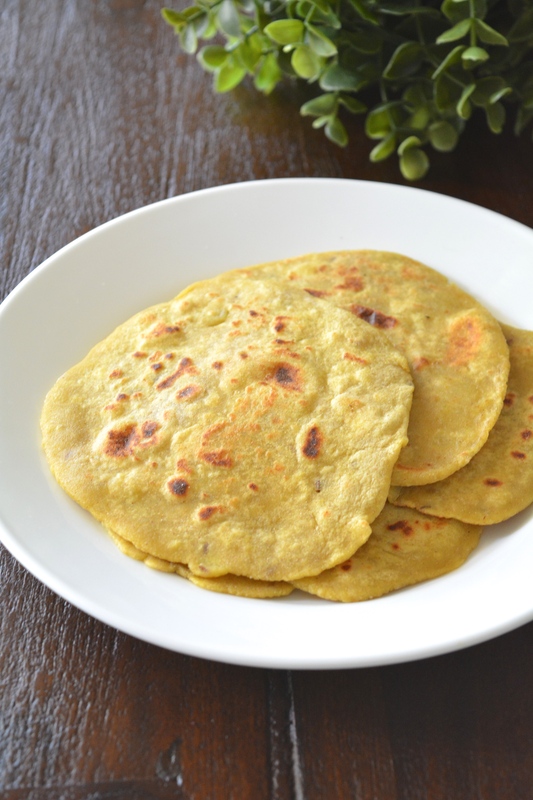 I make paratha all the time. 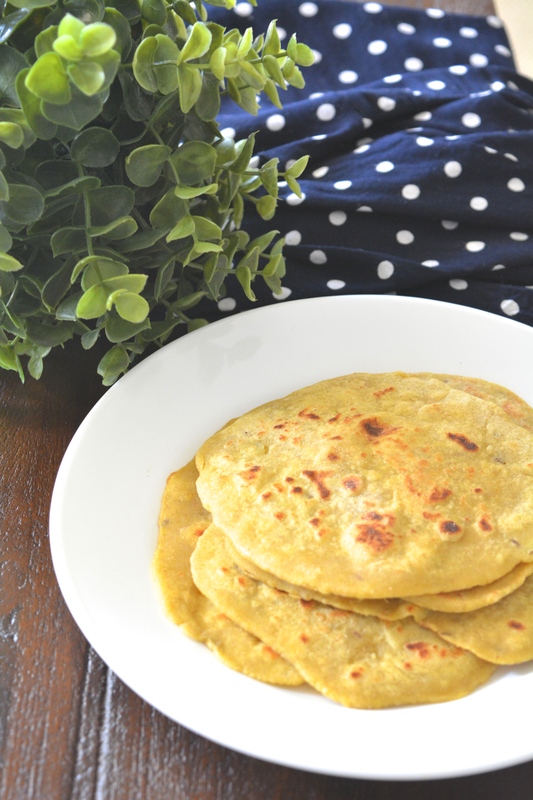 I think I lived on them for about 2 months at one point.. Everything from just potato like your recipe, to potato and methi leaves, crazy chick pea fillings… moong dal.. one day I was so desperate I snuck in the sweet potato I had because I just needed my paratha fix. Indian cuisine accounts for about 95% of my diet. I love spicy food and I need flavour. Italian, Canadian and French food doesn’t do it for me anymore. After learning to cook in a classical French cooking school, I needed a major change. Now that I’ve decided to try the vegan AND gluten free lifestyle, it’s hard parting with some of my necessities. I’m trying a gluten free all purpose flour mix this weekend for the first time, but I’m dying to try this recipe with the buckwheat flour. 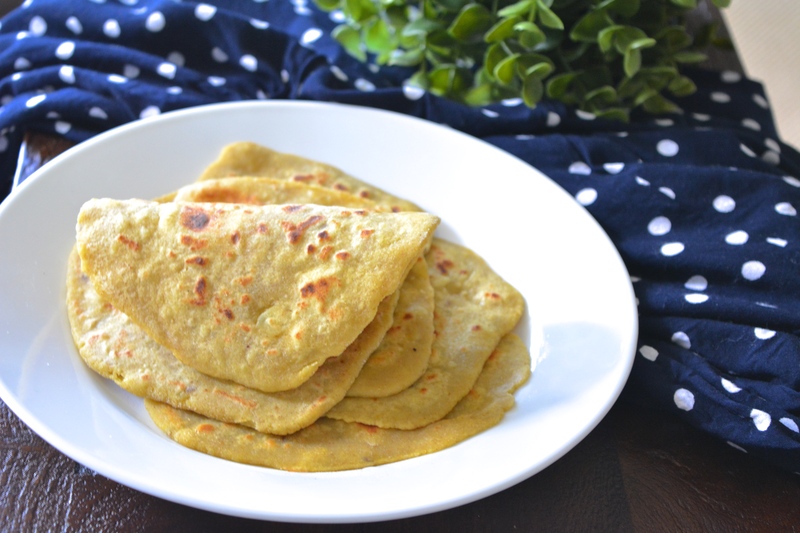 Generally I live on besan and idli dosa, lots of (baked) pakoras, and probably a kilo of lentils and chickpeas weekly ( feels like that much some times).. My cheat is still samosas and naan. I can’t walk away from either! Your recipes make me want to get up and run to the kitchen at 3am!